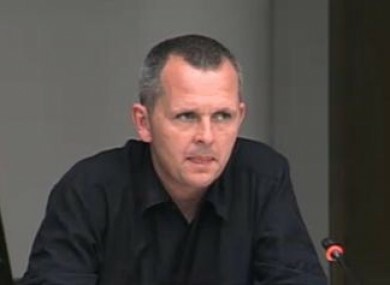 Deputy Richard Boyd Barrett said there is a danger people might bring to bear their personal views and bias in making a judgement. MINISTER FOR HEALTH James Reilly has said he cannot support a suggestion that a person who has publicly said they are opposed to abortion not be allowed on a panel considering a woman’s right to termination. The amendment was put forward today during this afternoon’s Health Committee hearings on the Protection of Life During Pregnancy Bill 2013. I think somebody who has publicly indicated their opposition to abortion, or terminations in these cases, should be excluded from any panel that would consider whether a woman has a right to a termination in the cases outlined in the bill if there is a threat to her life. He said the amendment was put forward because “there is a danger at least they may bring to bear personal views, their bias, whatever you want to call it, in making a judgement”. However, the amendment was dismissed by Minister for Health James Reilly, who said that where a medical practitioner may have particular beliefs that decide that he or she cannot participate in a medical procedure, “this should not disqualify him or her for… participating in a process which calls for his or her clinical judgement to be applied”. He said that in situations where it is to be assessed whether there is a real and substantial risk to a woman’s life, he believes “we can trust doctors to apply their professional skill and clinical judgement to the case to ensure the woman receives the best possible care and treatment”. He also said that if the logic of this is followed, and anti-abortion medical experts are excluded, “then equally others could say, ‘let’s exclude everybody who ever said they would do an abortion, or has performed one, or certified someone for one’”. He said that if this logic was followed, “we will soon end up with no one able to give an opinion on this at all”. “So,” concluded the Minister, “with the best will in the world I cannot support the amendment”. The amendment is expected to be further discussed when the committee resumes at 6pm. Email “TD suggests pro-life experts be excluded from abortion panel”. Feedback on “TD suggests pro-life experts be excluded from abortion panel”.